Thunder Jet guitar - value? could some let know an approx value on all original parts, non-modded very good condition Westone Thunder Jet guitar (just serviced)? As it never gets played, which just seems wrong, so figured it was time to pass her on to someone else. Re: Thunder Jet guitar - value? Wouldn't like to say. In fact, we don't put arbitrary values on instruments in here; if you want to find market value, then put it on one of the internet auction sites and see where the market takes it! The market for Matsumoku guitars has slowed up somewhat so I wouldn't be expecting a windfall!! corsair wrote: Wouldn't like to say. In fact, we don't put arbitrary values on instruments in here; if you want to find market value, then put it on one of the internet auction sites and see where the market takes it! 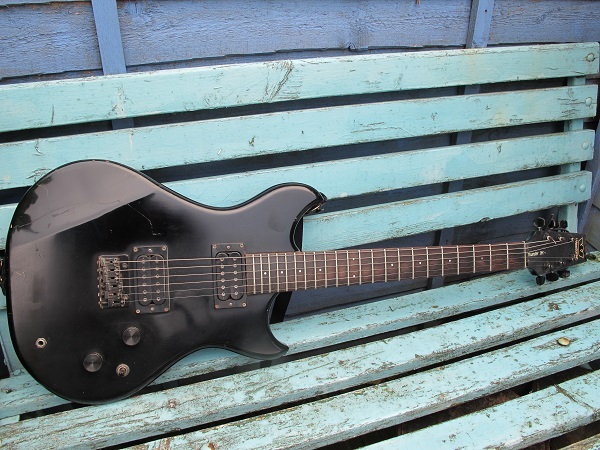 I wasn't expecting a windfall, it was only a mid range guitar when it was first released. this was one of the first places i'd like to put it up (it would be good to know she was going to someone that would appreciate her and her heritage, rather than some that just wants to mod the hell out of her then toss her aside when she doesn't sound like a moded fender tel or les paul). Have a look on ebay sold listings, there's a few on there. It wouldn't be worth a huge amount, plus the Jets have the MMK45 pickups, which are well regarded. So it may well be worth hanging on to it, and playing it for a while. I love my Thunder Jet, a simple straightforward player. It's battered, well worn and it serves a purpose, like all Matsomuko Westones, of being a solid, reliable gigger. I'm keeping mine, as it's just to ueful and playable to sell, and I'd miss it if I did.